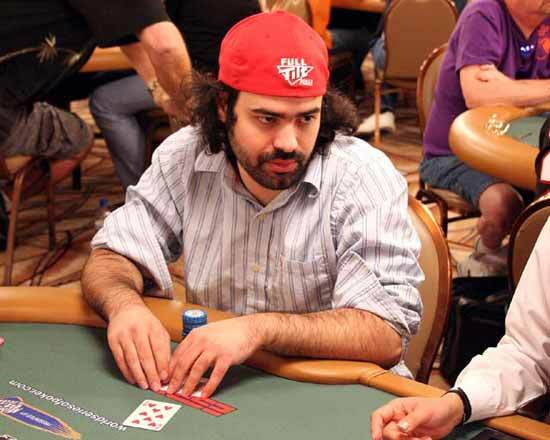 Aaron Bartley is most often known in online poker as “GambleAB” and was one of the success stories of the early days of online poker. When he is not playing online poker, he is participating in big money offline tournaments with the big time players. In some ways it is not such a long way from where he started. Aaron Bartley grew up in Cary, North Carolina. A wide variety of games was played in his home during that time. They played hearts, spades, bridge, canasta, gin, and, oh yes, poker. Aaron, a kid who liked games, did puzzles, and figured out riddles, wanted to figure out poker. He played in small stakes games with other kids in high school. Then, when he went to Penn State for college, he played more there. On his 21st birthday, he came into some money, winning a jackpot of around $1,000. This formed his original stake in poker. He opened an online poker account and played the free money sites. Then, he would rail bird, or watch in on, big money online tables. Aaron Bartley noticed that something interesting was happening in these games. Although the cards dealt were random, the same players seemed to be winning most of the time. He watched and learned until he was ready to play for real money in the small stakes tables himself. When Bartley discovered tournament play, it was a match made in heaven. He found the puzzles and riddles he had been preparing for his whole lifetime. He made money with fun and strategy. Soon, he was playing tournaments every day. When Aaron Bartley stopped having to take more money out of his bank account to put in his online poker account, he started to think like a pro. Then, he started hearing important poker players talking about the other big name players who had mentioned him. He knew he was ready for the big time. In January 2005 Bartley played in an online satellite and got a chance to play in the World Series of Poker circuit event in Atlantic City. He made it to the final table and along with Chris Ferguson, Mimi Tran, Erick Lindgren, and Chad Brown. He came in 5th, but he took home a whopping $141,000. It was his first major tournament and his first major cash. In the 37th Annual World Series of Poker in 2006, he came away with 3 cashes. He came 18th in the WSOP Limit Hold ‘em with a cash prize of $11,000. His second cash was in the WSOP Pot Limit Hold ‘em event and he cashed just over $14,000 when he came in 10th. Then in the main event, the WSOP No Limit Hold ‘em Championship, he came in at 137th place, with a cash prize of over $47,000. So, his World Series of Poker total cashes was over $72,000. Of course, Aaron Bartley continues his online success with a continued stream of multiple thousand dollar cash finishes in online tournaments including many 1st places. He is still young, but as he matures, he is calming down. His style now is controlled yet aggressive. He studies the game constantly because he knows that what he learns will help him more than the cards that are dealt to him. He enjoys passing on the knowledge that he has developed to new poker players and can be seen in the video below doing just that for the Full Tilt Poker Academy. Aaron was a former member of the original Team Full Tilt but is no longer sponsored by them. 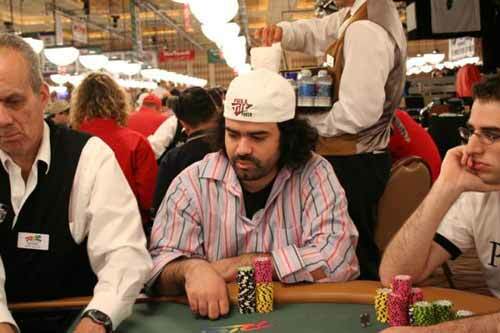 However you can still often find him playing on Full Tilt Poker and you can sit down and play with him at the tables there where he is found talking and enjoying himself with his fans. 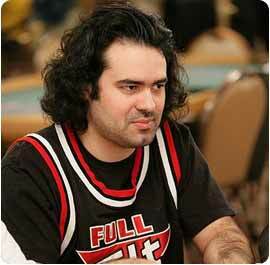 If you see this avatar on Full Tilt Poker then you are playing with Aaron Bartley! Want to Chat and Play Poker with Aaron Bartley?